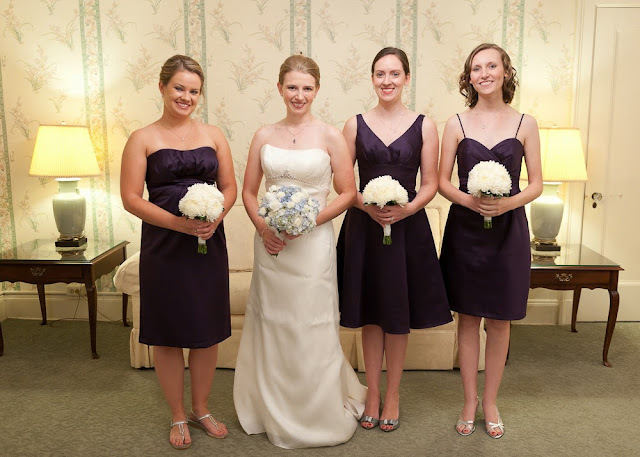 All of the lovely ladies in the wedding party have picked their bridesmaid dresses! All that's left is to put in the order and get any alterations. The dresses are Alfred Angelo and are all going to be the color eggplant. I'm very excited! I think all three look great together :) Thoughts or comments on shoes? Black? Silver? Dyed to match (bleh!)? Next up: finalizing the guest list and sending save the dates!